My name is Joe Gormley and I host a podcast called Saving Fatherhood. Not too long ago I was challenged by a Constitutional educator who asked me to name all 5 freedoms protected in the 1st Amendment. The first amendment has 5 parts to it. To my shame, I could only name 4. How many can you name? If we don’t know our rights, we will certainly lose our rights. I’m here to tell you our God given rights are being violated regularly and most people don’t even know it. I’m here tonight to support a candidate that will preserve our Constitutional rights. A man who knows his rights, so he can defend yours. I’m here because in family courts today entire bill of rights is violated on a regular basis. We need people like Murray Sabrin that recognize where our rights come from and they are willing to defend it. The constitution does not give us our rights. The constitution defines and protects those rights we have naturally from God. The first right protected in the First Amendment is free exercise of Religion. If this freedom falls so, do all the rest. Today in New Jersey and the rest of the United States families are not allowed to exercise their religion freely. More specifically they are prevented from following God’s design for families. Christians, Jews and Muslims all teach that marriage is supposed to be a covenant. But in New Jersey and in several other states the vows made at the alter are cancelled out by no-fault divorce laws. This doesn’t break the 1st amendment alone. It also negates the contracts clause in article 10 of the constitution. We teach our children in Sunday school that Abraham made a covenant with God. We teach them that marriage is a covenant that can not be broken and then they find out in the family courts that not only can it be easily broken, the person in breach of the covenant can not legally be held accountable for their actions. We have no way to protect the sanctity of marriage. God gives each child two parents. A mother and a Father. In child custody cases in New Jersey there is no support for equal shared parenting as designed by our Creator. The family court judge does not even have an option to give the parents equal shared parenting time. Right now, and for over a year our state legislature is sitting on legislation that would give judges the ability to prevent families from being destroyed. This legislation would prevent the growing number of cases of parental alienation that has become an epidemic because we ignore how God designed families. It gets worse. Children are regularly taken by Government officials from their parents’ homes without due process of the law. This means that parents lose access to their children without being convicted of a crime. Statistically this happens more to poor people who don’t know their rights. Many times, a rumor from a nosey neighbor is enough to have your children ripped from parents. 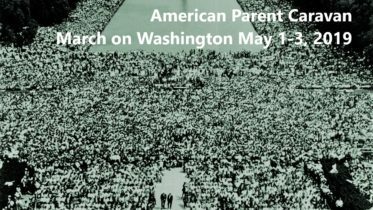 God gave each child two parents and the state has no business interfering with parents who have not committed a crime. Christians, Jews and Muslims are all called to defend the rights of the poor. How many politicians call for you to pay more taxes to support the poor while they abuse the rights of families who are poor? You may think this is a local problem only but the family courts in NJ are directed and paid for with your Social Security funds. Yes, the program that is regularly defended as a necessary vehicle to help people save for retirement is really just a big slush fund that allows the Federal bureaucrats manipulate our local governments. For every dollar in child support and alimony collected thru the local government the Feds send .60 back to the local municipality. The term “dead beat Dad” has been popularized by Goebbels styled propaganda to keep this flow of dollars moving. Child support and spousal support has strict mechanisms for enforcement. Yet there is no enforcement mechanism to ensure these “Dead beat Dads” get to see their children. More often than not; only one parent gets access to their children. The parent that keeps the child from the other parent is able to manipulate the bureaucracy to keep the other parent away. More and more this happens to women as they make more money than men. Child custody usually goes to the parent who makes less money so that the state can maximize its income. Of course, they argue that this is in the “best interest of the child”. Well God doesn’t agree. And our rights come from God. 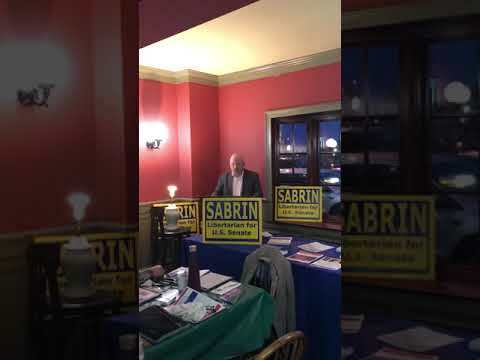 As an advocate for family court reform I’m supporting Murray Sabrin because he supports the Constitution. This Constitution is a GIFT FROM GOD. Support Murray Sabrin and support our God Given Rights. God Bless the USA. 2 Comments on "Defending God’s plan for families in NJ and the US Senate." No fault divorce did not negate the Bill of Rights. The problem is BAR-barians: crooked judges and attorneys who create and perpetuate litigation by violating fit parents rights.